Queen Ahmose-Nefertari was arguably the most adored woman in Egyptian history. Nearly 50 private tombs in the West Bank necropolis at Luxor carry images of the queen; the first date from her lifetime, and they continue through to the end of the Ramesside Period, some 500 years later! It is supposed that Ahmose-Nefertari and her son, King Amenhotep I, founded Deir el-Medina—Egypt's most elite address—on the west bank of the Nile at Luxor. Living in this village was by invitation only, for this settlement was purpose built to house the royal tomb builders and their families. Deir el-Medina was a gated community, complete with guards who were probably tasked with keeping the workers in, as much as keeping trouble out. These men, after all, knew the king's most precious secret: the location of his "House of Eternity" in the Valley of the Kings. This wooden statuette of Ahmose-Nefertari came from Deir el-Medina and was possibly a votive offering, used in asking for the queen's divine favour. Today it is usually housed in the collection of the Museo Egizio, in Turin. Right now, Ahmose-Nefertari's little statue is also part of an exhibition at the Rijksmuseum in Leiden; "Queens of Nile", looks at some of the most celebrated queens of the New Kingdom. 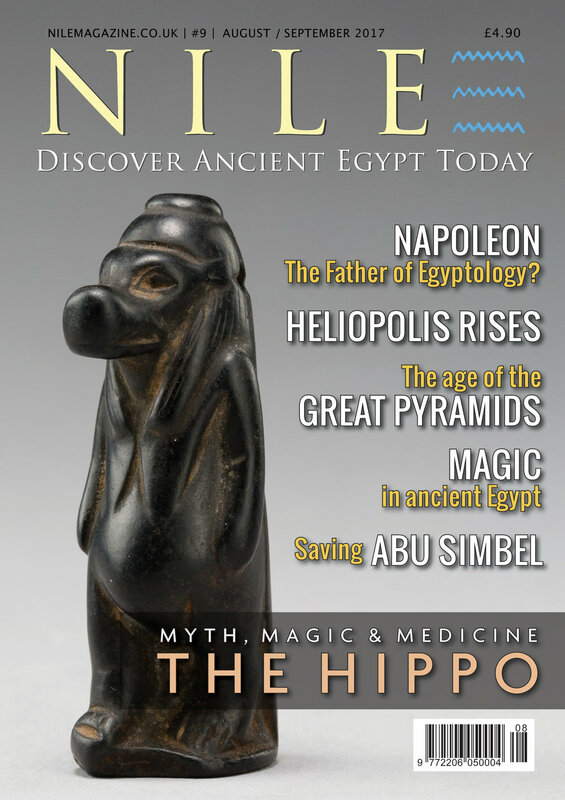 "Queens of the Nile" is also featured in the current issue of Nile Magazine, and follows the lives of Egypt's powerful New Kingdom queens, up to and including their burials—and beyond. Enjoy the full article, along with the breathtaking photography we are famous for, in the current issue of Nile Magazine.